When we felt God tugging at our heart to open our life to orphaned children, we started the adoption process through Holt International. Because the dossier for each country is so different, we were asked to choose a particular country. We chose China because a documentary film about the plight of Chinese orphans was what first drew us to international adoption. We felt that since we already had two boys that we should apply for a daughter. We chose to have our home study done for a healthy, baby girl from China. Our social worker was Konnie Gregg of Lutheran Social Services in Austin. We really liked Konnie and felt very comfortable with her. She is an adoptive parent herself, so she was very understanding and informative. We felt so blessed to have her as our social worker. Holt International has a magazine called HI Families that comes out almost every month. In each issue, there is a section called "Some Children Wait". This section is dedicated to finding families for waiting children with special needs, sibling groups and older children. For many of these children, it is the last hope of finding them a forever family. When we received our first issue of HI Families, we sat down and read it together. When we got to the section entitled "Some Children Wait", we realized that there was a great need for families who were willing to be open to children with special needs. We felt like God was changing our hearts as we flipped through the pages of the magazine. Jay’s eyes fixed on the photo of a tiny little boy from India with major special needs. He looked at me and said, "I feel like I am looking at my son." I was very surprised, but when I looked at the photo, I totally agreed with Jay. 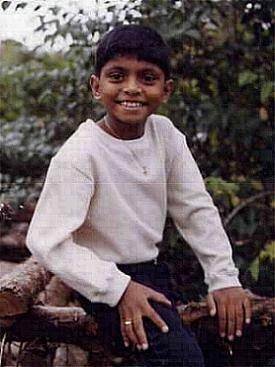 The boy’s name was Sunil and he was from India. He had bladder extrophy, was missing 30% of his pelvis and had hernias on his abdomen. He had been found in a hospital, where his parents had left him in hopes of him receiving the medical care he desperately needed. His abdomen had severe scaring from previous surgeries. It is believed that his birthparents had tried to get him the surgeries he needed, but that he reached a point where they could not longer aff ord the costly surgeries needed to help Sunil. His eyes were huge and seemed to just draw you to him. 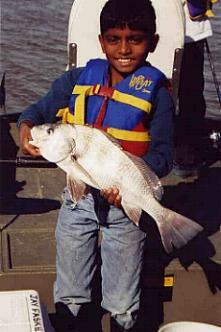 In the photo, he was about 18 months old, but when we called the agency, we learned that he was already 2 1/2 years old. He had been featured in the magazine before, but there was not a family willing to consider him. 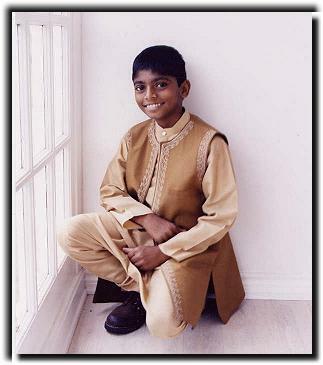 We were told that at the time, we were the only family who was considering the adoption of Sunil, but we would have to get all of our documents and our home study changed from the China program to the India program. We started the process of changing programs right away and submitted a request to adopt Sunil. Much to our disappointment, we received a phone call saying that there was another family trying to adopt Sunil who was "paperwork ready." We were so upset, yet we were happy for Sunil. He desperately needed surgery and the other family would be able to bring him home sooner. We continued to pray for Sunil daily. We prayed that he would receive a family who would love and cherish him and that God would prepare the hearts of his family. Jacob and Joshua, our two biological sons prayed for Samuel every night too. We felt that the Lord had brought us to the India program for a purpose, so we decided not to return to the China program. We submitted our dossier and later received the referral of Sarah. Shortly before Sarah’s arrival home, we got another Hi Families magazine and once again, Sunil was featured as a waiting child. We were so upset. We called Holt and asked what had happened. 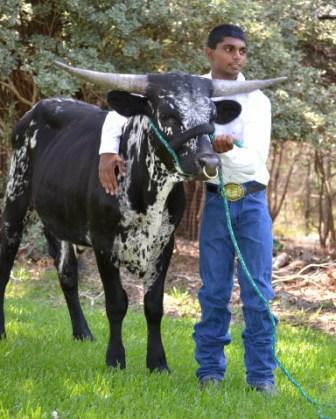 They explained that the family who was trying to adopt Sunil had changed their minds. They were not sure why, but they felt that perhaps it was the severity of his medical condition. We asked if there was any way we could adopt both Sarah and Samuel. Holt told us that it was not possible because the two regions where the children were from only adopted to families with two children or less. They said that we could appeal the courts, but that it could tie Sunil up in the system for several years. Because of his medical needs, he did not have time to wait. He needed a family urgently. 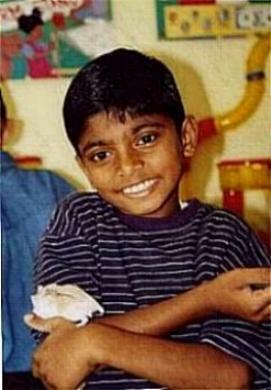 They told us that if we would "let go" of Sunil that they would actively try to recruit a family willing to adopt Sunil. We did as they asked and tried to "let go", but we continued to pray for him. Sarah arrived home and we started her post placement visits. 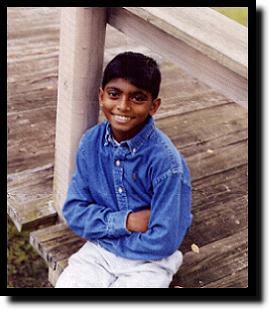 Occasionally, we would call Holt and ask if they had found a family for Sunil. Each time we got the same response, "we are still trying." We continued to express our concern for this precious child to our social worker, Konnie. At our last post-placement visit, we explained to her that we really felt the Lord leading us to Sunil and that we were having a really difficult time letting go. She promised to call Holt one more time to see if there was anything we could do. 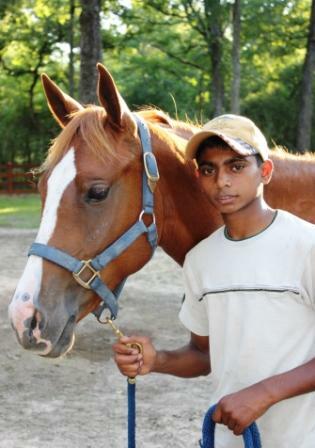 To our amazement, we received a renewed hope in adopting Sunil. Holt told Konnie that on the day before she called, the region from India changed the law so that they adopted to families with three children or less. We were filled with excitement when we heard the news. We submitted our documents right away and started the process of adoption once more. In July of 1998, my sister and I boarded a plane for Delhi, India. We filed Samuel’s I-600 in Delhi and visited the orphanage Sarah came from. Then we flew to Pune, India to meet Samuel. It was a reunion I will never forget. As we entered BSSK, we were amazed at all the children we saw. We went into a room of about 30-40 older children. They introduced me to Samuel and asked him if he knew who I was. He replied, "Mama." He then looked at my sister and said, "Auntie." We were surprised that he knew a few English words. In the orphanage they spoke mostly Marathi and some Hindi. His eyes were huge and there was a glimpse of mischief in them. He hugged me and I began to cry. His face reflected pure joy! He was so happy to have a family. We were told that we could only spend a few hours with him on this day, but would return the next day to meet the Judge of our case. Samuel would have to appear before the Judge and request to have us as his parents. We had lunch with the children and watched them attend pre-school. As we spent time with Samuel, I learned from caretakers that he had been asking to be adopted for years. He would ask American families who were at the orphanage picking up their newly adopted child, if they would please find a family for him. Now Samuel’s dream had come true. He finally had a family. I had no idea how hard it would be to depart from Samuel that afternoon. Every time they mentioned that it was about time for Mama to leave, Samuel would start crying and hug me tightly. Several times they explained to him that I had to leave, but that I would be returning in the morning. It only made him cry harder. He said, "If she leaves without me, she will never come back." I cried too as they translated his words to me. I tried so many times to let him know that I would return first thing in the morning, but he did not understand. It was not legal for them to let me take him until after his visit with the Judge. Finally, they told me that I must go. We walked outside the orphanage with Samuel screaming. It broke my heart to hear him crying. I gave him one last hug before leaving the porch of the orphanage. Two ladies held Samuel tightly as he fought them to get to me. They told me to "please go!" I was so upset. As we drove off in the motor rickshaw, Samuel broke loose from the arms of the two caretakers. He grabbed the back of the rickshaw and it began to drag him behind us. We stopped and I carried him back to the orphanage caretakers. It was one of the most difficult moments of my life. In his mind, he truly believed that we would not return for him. I called Jay from my hotel room and told him how hard it was to leave Samuel. I missed my family at home and longed to be comforted by my husband and children. Jay gave me the encouragement to try to rest so that I could return to the orphanage in the morning prepared to meet the Judge that would make the final ruling in our case. My sister and I arrived at the orphanage early the next morning. It was about an hour earlier that they told me to come. They met me in front of the orphanage and told me that they were so glad I had come so early. They told me that Samuel had cried, "Mama, Mama" all night long and that none of the children got any sleep. You can’t imagine the happiness in Samuel’s face when he saw us that morning. He ran to me and hugged me tightly. I don’t think he left my side once that day. We met with the Judge and completed the last of the his papers. We took him to the market for ice cream and soda, a luxury in India, to celebrate the completion of the court process. He did not like the soda or ice cream at all! He was not accustomed to these foods and they seemed strange to him. We bought him mango juice instead and he loved it. We returned to the orphanage to tell his friends and caretakers "goodbye." They were so happy for Samuel. He had waited a long time for a family. His friend, Pappu gave him a paper hat he made for him. After saying goodbye to everyone, we went to our hotel. We took Samuel to get a hair cut at the hotel. His hair was really thick and it was very hot outside. He sat perfectly still as they cut his hair. We bathed him and dressed him in his new clothes. We took him to eat at a Chinese restaurant in the hotel. It was obvious that he had never used silverware, but he tried so hard. He watched everything we did and tried to be a little gentlemen. The following morning, we left our hotel to board a train from Pune to Bombay. We rode through a beautiful countryside, an area of India I did not know existed. Waterfalls fell from the tops of small mountains and seemed to stop at the edge of fields of crops. Monkeys hung from the trees along the railroad tracks. It was a beautiful sight. As we approached Bombay, the scenery changed. It was the monsoons and the poor were scurrying to find a dry place to live. As we entered Bombay, we noticed people living in holes on the side of a hill with only a small board to cover their home. It was a poverty I had never seen before. It made you realize what a blessing we have and take for granted each day. You also realized that the children living in the orphanages have is far better than many of those living in the streets. In Bombay, we met with a family who helped us with the process of getting Sunil’s passport. We stayed at the hotel they owned in Bombay. They were very kind to us and made us feel comfortable. They took us to the beach and my sister road the elephants along the water. Samuel was afraid to try it. They even took us to McDonalds, which was all vegetarian. It was really good though, better than at home. We had a really difficult time getting Samuel’s passport. It was lost in mounds of paperwork in a room the size of a gymnasium. This postponed our trip home a little longer than planned. Three days before we were scheduled to leave India, I got very ill. I wanted to go home so badly, but we still did not have Samuel’s passport. I was actually so sick that I had to lay down on the floor in the passport office. We received the passport the next day and left India on July 31, 1998. Samuel did very well on the plane home. He sat quietly and played with the small toys we had brought him. He was so excited about going home. He flipped through the small photo album and touched the pictures of his new siblings as he said each of their names. Every time he touched Sarah’s photo, he would say "beautiful" in Marathi. As we walked through those same red doors of Houston Intercontinental Airport that Jay carried Sarah through only one year before, it was as if this difficult journey to bring Samuel home was finally coming to an end. Jacob, Joshua and Sarah ran to meet us and greeted Samuel with hugs and kisses. Samuel’s name means "Gift from God." He truly is a blessing to have in our lives. The adoption journey had been long and difficult, but he was finally home with our family. A mother’s love awaits him, a father feels just the same. Two brothers can’t wait to play with him, little sister is learning to say his name. Grandparents, uncles, aunts and cousins, are thinking of what they can do. These things have just been a dream in his mind, but now they are really coming true! For two years each day they prayed for him, at first to be theirs to hold. they still thanked God for the news they were told. And so, went on with life’s journey of tasks. the question of a family for Samuel again was asked. God answered that all along He had a plan. Sarah was added to their clan. they just didn’t know their family was the one! 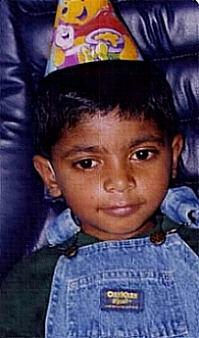 Shortly after Samuel’s arrival home, we learned that Samuel’s surgeries in India had been completely unsuccessful. We would be starting from the beginning, as if he had never had a surgery before. The type of surgery they did was more than 30 years behind American medical technology. This is not surprising because his medical condition is so rare. Even in the US, there are very few doctors who have had success with surgeries for bladder extrophy. We believe that the doctors in India did all they could do to help Samuel. We did not understand the complications of at least three failed surgeries until we received a phone call from Dr. Gearhart at Johns Hopkins Hospital in Baltimore, Maryland. He explained that what the doctors in India did probably extended Samuel’s life, but that without a successful surgery, he probably would not live past seven years old. We understood the severity of bladder extrophy and that Samuel would need additional surgery once he was home, but we had not been expecting to start completely over with Samuel’s surgeries. Dr. Gearhart explained to me that we would have to come to Baltimore (we live in Texas) for a 4-8 week stay. During this time, Samuel would have surgery and remain in traction for the remainder of our stay. It was a long and difficult surgery of about 18 hours. Together, Dr. Gearhart (pediatric urologist) and Dr. Sponsellor (pediatric orthopedic surgeon) worked to give Samuel a future. Dr. Gearhart was so kind to us and took the time to explain every detail of Samuel’s medical condition. He was a blessing from the Lord and we are so thankful that we chose to take Sam uel to him, even with the distance. Everything looked really good for the next few days. Jay returned home to take care of the other children and I remained in Baltimore with Samuel. About one week after his surgery, Samuel’s fever spiked and he began shaking violently. Over the next 24 hours, the doctors discovered that Samuel had contracted an antibiotic resistant staff infection. It was a very serious infection. The doctors were forced to take Samuel back into the operating room and undo part of the surgery they had done a week before, in hopes of minimizing the infection. The one medication that seemed to help with this type of infection causes kidney damage, something that is already an issue for children with bladder extrophy. We did not have a choice, but to use this medication because Samuel was getting worse each day. Jay came to Baltimore twice because Samuel was so ill that they were not sure he would survive. It was a very difficult time in our lives. Samuel had lost so much weight that he only weighed 21 pounds at 5 years old. His little hospital arm band would slide over his hand. There were days when I could hardly bare to see him suffer another day. He was so weak and in such pain. Samuel and I remained in Baltimore for three more months. By now, it was the Christmas season and we wanted to be home with our family. Finally, the doctors made the decision to let us go home for Samuel’s first Christmas with his family. They used a special seat belt to strap Samuel laying down in the plane. He still had 6 pins holding the eight pieces of his pelvis in place. Each of these pins projected from his pelvis about 10 inches. Samuel rode in a wagon when he was not in bed. After Christmas, we returned to Baltimore for another hospital stay to remove the pins that held Samu el’s pelvis in place. It was confirmed that due to the staff infection, Samuel had yet another failed surgery. We were sent home so that Samuel could recuperate and gain weight before the next surgery. Samuel slowly learned how to walk again and enjoyed playing with his siblings. It was great to have our family back together again. Over time, Samuel grew stronger and began to gain weight. His pediatrician put him on medication that made him hungry and encouraged him to eat. It was the first time since he entered the hospital that he was actually eating without a fight. Over several months, we weaned him off the medication. In July 1999, we returned to Baltimore for another surgery. It was not the best solution, but it was our only option and it gave Samuel a chance for a future. We spent another month at Johns Hopkins Hospital before returning home. Today Samuel is doing all the things doctors never thought possible. He is even playing roller hockey! He does well in school and enjoys reading. 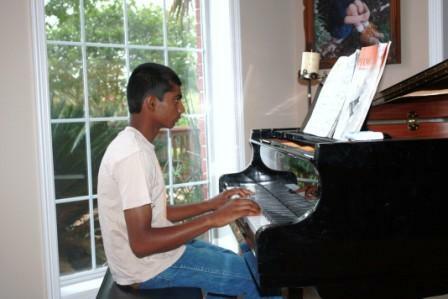 One of his favorite things to do is play the piano. He also likes fishing with his brothers. Samuel has had a tough start from the beginning. He has certainly had more than his share of complications and hospital visits, but his life has also been an inspiration to others. He is a living miracle and a testimony of God’s healing. As I write Samuel’s story and reflect back on the difficulties we experienced, I cannot help but be thankful for not only what God had done in Samuel’s life, but also in my own. God has molded my life through Samuel’s adoption and hospital stays. He taught me to trust in Him in the difficult times and praise him for each day we have with these precious gifts he has entrusted to us. As time passes and our family continues to grow, we sometimes forget how difficult 1997-1998 was for our family, but I hope that we never forget the lessons we learned during these times. It was a time that we grew in faith and discipleship. It is our prayer that our time with S amuel is long, but if it is short, we are just thankful for the time He has given us with our son, Samuel. 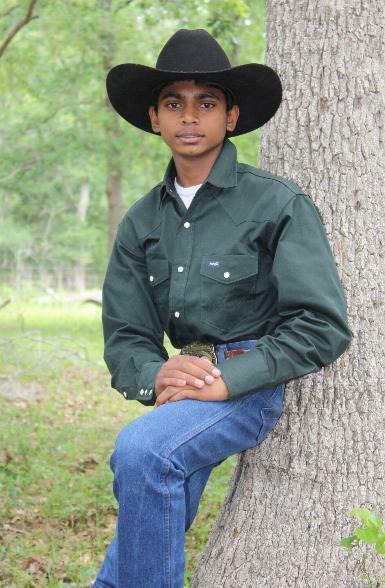 Now Samuel is a teenager, and is very interested in ranching. 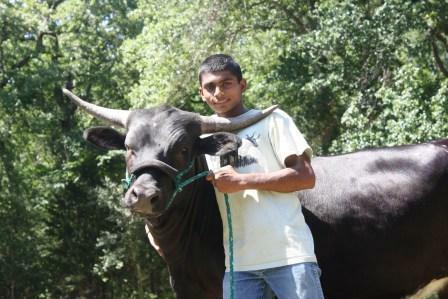 He loves showing Texas Longhorn Cattle and riding horses at the ranch. In 2008, Samuel won 2nd place in the TLBT Gold Merit Award. 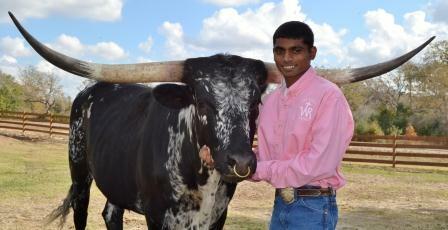 In 2008, Samuel was elected to the position of Treasurer for the Texas Longhorn Breeders of Tomorrow. The following year, he was re-elected to that same position. In 2008, he placed 3rd in the TLBT Quiz Bowl. 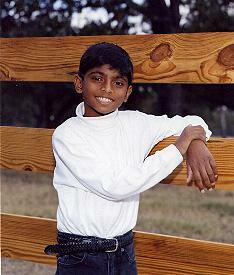 The following year, he placed 1st in the TLBT Quiz Bowl. In 2009, he was a recipient of the TLBT Hall of Fame Award. In 2009, he was a winner in the Autobahn Speech Contest. That same year, he was also a winner in the Autobahn Essay Contest. In 2009, Samuel was the second place winner of the Autobahn All-Around Teen Champion Award. This award is given to the top three teens who have shown excellence in showmanship, essay writing, speeches, judging and more. Samuel also tried out for the Lil’ Wranglers, a country and western swing dance team and became a member of the team during 2008-2009. They had the opportunity to perform in many competitions and as the half-time entertainment for the San Antonio Spurs and Texas A&M Men’s Basketball. In 2010, Samuel received the Laura Harding Perseverance Award at the Autobahn Classic. It was a great honor. That summer, he was re-elected as the TLBT Treasurer again. He also placed fourth in the TLBT 2010 Hall of Fame. 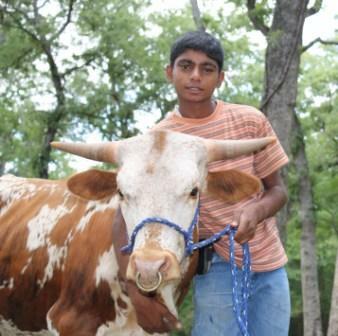 Samuel has remained interested in livestock and wants to pursue a career working with animals. It will be interesting to see where the Lord leads him as he approaches his adult life. Looking back, it is still such a miracle to realize that Samuel has beat the odds and survived when not expected to. It is a testimony of how powerful our God is.